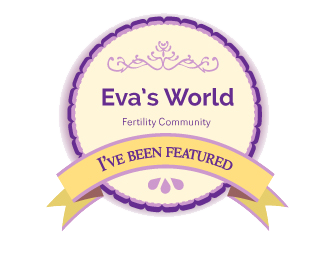 I am excited to share an interview that I recently did for Eva’s World, a fertility community striving to help those who are trying to conceive. Eva’s World features some wonderful resources and stories and I am honored to be able to share a bit about our journey, some resources I suggest, as well as how I incorporate my faith in it all. I would love for you to head on over and check it out! Also, if you want to check out some of the other TTC stories shared, click here for a great list! I hope all have a great week! I am so thankful for all the encouragement that came my way last week – you all are a gigantic blessing to my heart! This will be a great week, I can feel it already! Thank you! :) Appreciate you reading and for the love comment!! XO! Great interview Chelsea. Need to know more such stories to keep going steady in this journey!